The City Law School hosted a Workshop which broadly considered developments in respect of transatlantic relations and how to understand their integration. 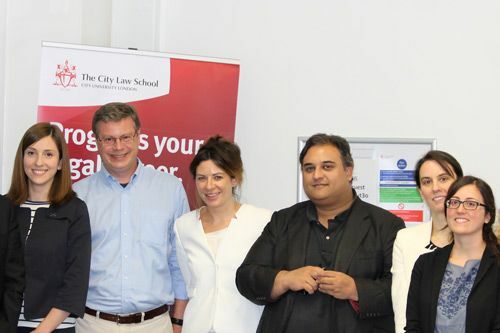 The Workshop on the Institutionalisation of Transatlantic Relations took place on Friday 15 July at The City Law School. 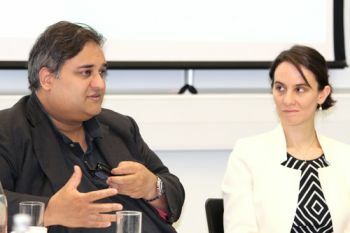 It included participants from the US, France, the Netherlands, the UK, Germany and included policy makers (such as MEP Claude Moraes) and doctoral students. The Workshop broadly considered developments in respect of transatlantic relations and how to understand their integration. Although predominantly legal in focus, the Workshop also included political scientists, copyright and data protection lawyers as well as experts on international investment law. Many of the participants were sceptical about the ability to institutionalise transatlantic relations despite waves of effects in recent times such as TTIP and EU-US data privacy, two case studies considered in great detail. Nevertheless, the underdeveloped framework of institutionalisation was considered to be an important one to evolve among the participants as the basis on which integration takes place. The Transatlantic Trade and Investment Partnership, generally known as TTIP, is primarily a deal to cut tariffs and regulatory barriers to trade between the US and EU countries, making it easier for companies on both sides of the Atlantic to access each other's markets. Industries it would affect include pharmaceuticals, cars, energy, finance, chemicals, clothing and food and drink.